David Bowie has delivered a dark, spooky video perfect for Halloween for his brand new song ‘Love Is Lost’. The track appears on the new bonus edition of his 2013 album ‘The Next Day’. Bowie used his own camera, used puppets from his own collection and shot it in his Manhattan office, completing and editing the entire piece over this past weekend all by himself. The song features a nod to the classic ‘Ashes To Ashes’ and the video features the Major Thom puppet used in the original video from 1980. The video was premiered on Wednesday night at the Mercury Music Awards in lieu of Bowie appearing for his nominated album, The Next Day. 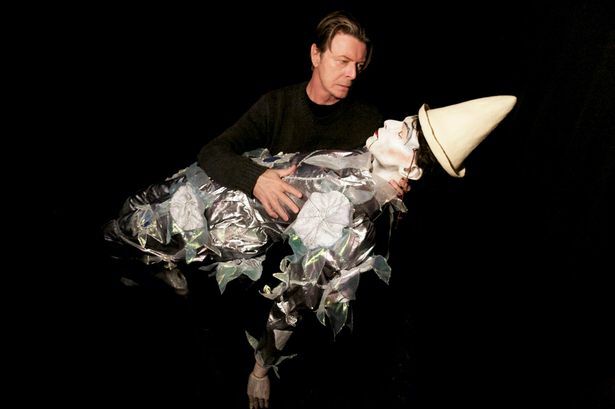 Click Read More to watch the new David Bowie video ‘Love Is Lost’. Previous PostRoger Federer Takes Over Twitter!